If you are considering moving a loved one into an aged care home, it’s important to understand the process. To help you get started, below is a guide for entering into Holmwood Aged Care. Your loved one may be eligible for Australian Government subsidised care in an aged care home if they are a mature aged person who can no longer live independently in their own home. To find out if your loved one is eligible, they will need an assessment. For a free assessment, contact a member of an Aged Care Assessment Services (ACAS) to determine their eligibility. A nurse, social worker or other health professionals usually undertakes this at the individual’s home. To find a local ACAS member, call My Aged Care on 1800 200 422. This assessment is also required for respite care. If a letter is received confirming eligibility, it will also include a support plan and what services they can receive. The support plan will include a unique referral code that is to be provided to Holmwood Aged Care. Follow the pathway below to enter Holmwood Aged Care and manage individual services.  Holmwood Aged Care is subsidised by the Australian Government who pay the majority of the fees and charges. However, residents may be asked to contribute towards these costs if they can afford to do so. The amount will depend on the individual’s financial situation. Means-tested care fee (if the individual’s income and assets are over a certain amount, they can be asked to contribute towards the cost of care). This assessment is undertaken by the Department of Human Services. Call 1800 227 475. Fees for additional services (there may be an additional services that are above the assessed care needs). Refer to our ‘Next Steps and an Explanation of Care Fees and Payment’ document for more information. An individual may also be entitled to financial hardship assistance so it’s advisable to speak to My Aged Care on 1800 200 422 and/or a financial advisor. Finding an aged care home? 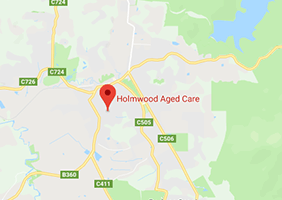 It’s important to tour Holmwood Aged Care and view the rooms, services, care, activities and ensure the individual would be happy to live here and that it suits their lifestyle. It’s also a chance to have your questions answered. Applications forms are available from Holmwood Aged Care. These will need to be completed and submitted to us. Ensure the unique referral code from your ACAS provider is included. When suitable accommodation becomes available, we will contact you. The individual can then accept the offer. Before moving in, Holmwood Aged Care will require the individual to enter into a legal residential and accommodation agreement. This sets out care and services, fees and rights and responsibilities. It’s important to understand this legal agreement and its encouraged to seek professional or legal advice. A resident agreement will also need to be signed for respite care. Residents can keep their own doctors or healthcare specialists. They have the freedom to choose what they want to do each day and can control their own personal and financial affairs and possessions. Friends and family can visit and residents can visit them. They can go on holidays and still vote. If you need further information, please call us on 03 5962 4321. We are here to help, every step of the way.